Regency specializes in select secondary and tertiary markets across the midwest. Focusing on cities and markets that are anchored by major institutions with a stable population base. We specialize in Select Secondary and Tertiary markets anchored by major universities, hospitals, and state government. Our target markets have proven to generate consistent returns while being less susceptible to downturns in the national economy. We are continually adding to our portfolio of multifamily residential properties through value-add acquisitions and new development. We utilize our diverse and extensive database of industry contacts to create a proprietary investment deal flow. 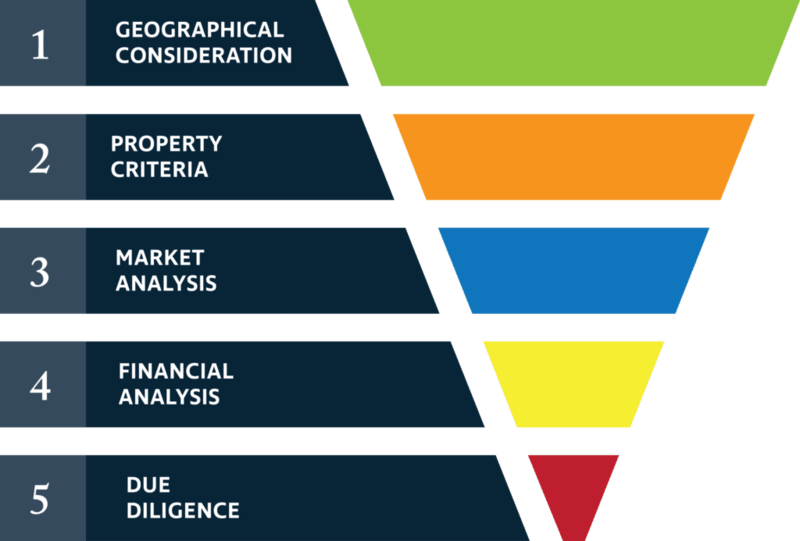 Potential acquisition and new development opportunities are conservatively underwritten to the following standards. If your organization has an acquisition or development opportunity in our identified markets, please submit a proposal for review. Regency is opportunistically looking to expand our portfolio footprint in identified markets. 30% of Regency’s Deal Flow is Generated Off Market. We value our industry relationships and engage in Buyer Broker Agreements for select off-market opportunities. If you would like to submit a property for us to view please, at a minimum, submit the following items: Property name, location, age, number of apartments, and property photos including aerial shots. To discuss opportunities, please contact Teresa Kelnhofer, President.